The Traditional Celtic Cross Pendant. Beautifully crafted in sterling silver and made in Dublin, Ireland. It also contains the Irish Hallmark by the Assay Office in Dublin Castle. Comes beautifully boxed with a 18" Sterling Silver Chain. 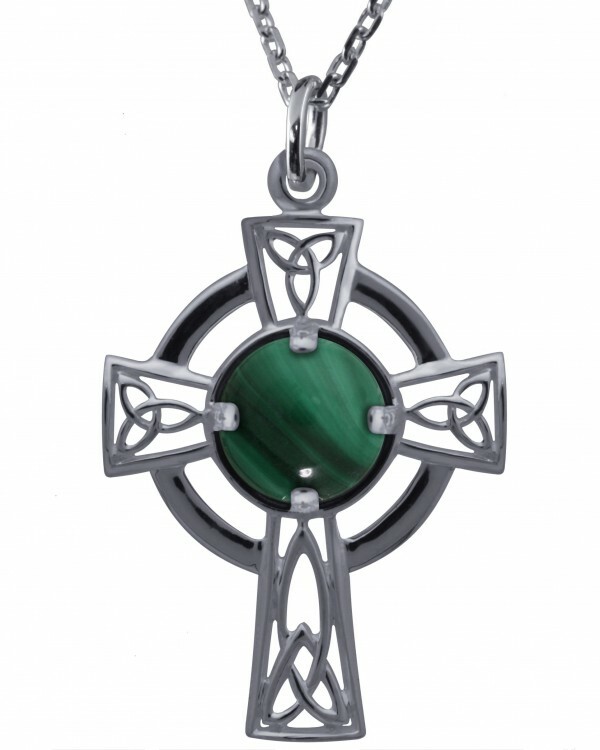 Inspired by Ireland's high crosses, which are found at old crossroads and meeting points around the emerald isle to this day, this cross beautiful depicts the knotwork that Ireland's celts were so famed for. It is a very traditional interpretation of Irelands Celtic Crosses.